On August 14, 1945 the Japanese military surrendered to Allied forces. As the news spread in America, spontaneous celebrations erupted. During the resulting festivities, photographer Alfred Eisenstadt captured this iconic photograph in Times Square. One week later, LIFE Magazine published the photograph as their cover on August 20, 1945. A client of mine asked me, “What could we learn about our perceptions of the future if we could step inside that photograph? If we could go back to Times Square on that afternoon and talk to that sailor on that day, what would he predict about the future?” My client had some very interesting answers to his own question, and he wanted me to make a video that would take us “into” the photograph. He explained that the video would be used as a critical part of a business presentation for a multi-million dollar project. 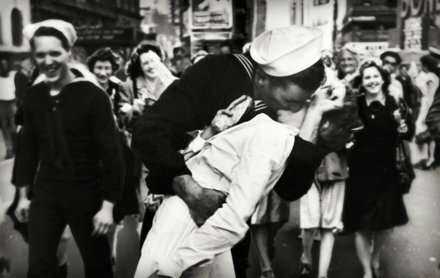 My client wanted a specific effect (called the Parallax Effect in the motion graphics field) that would make it appear as though our camera was able to enter the now famous Times Square VJ Day photograph. He wanted a video that would allow him to transport his audience back in time to 1945. He further stipulated that the video should be silent so that it would not distract from his voice during the live business presentation. During our pre-production collaboration the client approved my suggestion that we enter the cover of LIFE Magazine rather than just using the photo on it’s own. The video was produced under very tight time constraints; nevertheless, I delivered this video on time and under budget. 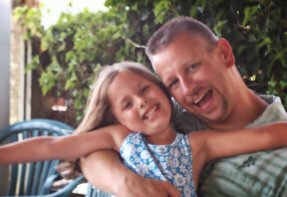 My client called to tell me how pleased he was with this video, and to let me know that after delivering his presentation several decision-makers in his audience commented that his clever use of this video had sold them on his concept. Good video is powerful! This short, silent video helped to advance a multi-million dollar project. Let me help you advance your projects. Use the form at the bottom of the page to contact me today!